A judge will explain to you the charge(s) and maximum sentences. You will enter a plea of guilty, not guilty, or no contest. The judge or prosecutor will give you a standard offer. Most defendants in California DWI cases are offered a plea bargain agreement called a “standard offer.” For example, all defendants charged with first-time misdemeanor DWI are given the same standard offer. If you are a DUI defendant in southern California, do not accept any plea bargain agreement before consulting an experienced Orange County DWI attorney. The problem is that the very same plea agreement is offered to different defendants with different cases. If your blood-alcohol content (BAC) level was just barely over the 0.08 percent legal limit when you were arrested, and it’s the only time you even had a drink this year, you’ll be offered the same deal as a problem drinker who measured at twice the legal limit, provided it’s that person’s first arrest. 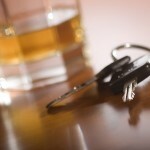 The standard offer fails to consider who you are and the details of your DWI arrest. Thus, if you are charged with DWI it’s essential for you to speak immediately with a good California DWI defense attorney. Your DUI attorney can determine if accepting the standard offer is the right or wrong option for you. If you choose to reject the standard offer on your attorney’s advice, your attorney will defend your legal rights, compile evidence and question witnesses on your behalf, and work to bring your DUI case to its best possible conclusion. Don’t risk being convicted; your future and your freedom are too important. 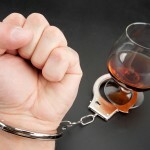 If you are charged with DUI in Orange County, speak to an experienced Orange County DWI attorney immediately.